Many Apple fans outside the United States have already purchased their iPad devices from the US. They did this either by buying themselves from the US or by having a friend / relative buy one for them. In most cases the exchange rate between their own currency and US Dollars helped international buyers save money by buying an iPad from the US. Unfortunately since their purchase, they have not been able to enjoy the iPad App Store from their home country. This is because Apple did not launch an international version of the iPad App Store; they intended to launch one with the official international release date of the iPad. With the official international iPad launch date only a week away, Apple has made the smart move to launch the international iPad App Store right now. The international App Store is now live. 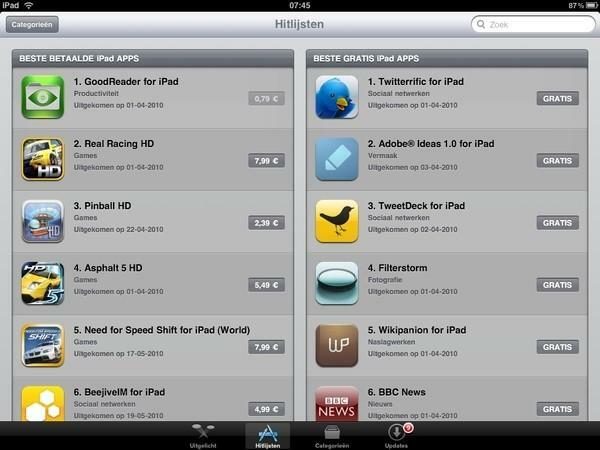 The App Store can now be used by international iPad owners to get wonderful applications for their Apple device. Apple has not yet announced which countries the App Store has been launched in but Tweets from all over confirm that Dutch, UK, German, Australian, and Swiss iPad owners can access the iPad App Store.